Music isn’t about invention; it’s about expression – a key factor which explains how we can “reinvent the wheel” time and again, and still have fresh, exciting songs about love, desire – even thinking of someone. How many songs do we have named “Thinking of You,” or “Thinking About You”? No matter how large that number might be, there will always be another like it on the way – a ballad dedicated to someone’s very essence. 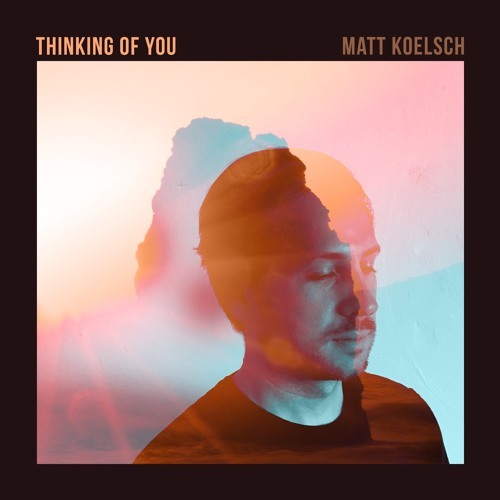 The beauty of art lies in its honesty and authenticity, and Matt Koelsch’s “Thinking of You” earns its name as a heartfelt and poignant post-breakup love song. Or head steady into the unknown? Atwood Magazine is proud to be premiering “Thinking of You,” the title track off the singer/songwriter’s upcoming EP. The Los Angeles by-way-of New England transplant crafts soothing, melodic songs, injecting beauty via dynamics and harmony. Am I still on your mind? Sometimes I wonder, was I the right kind? Will you go on without me? “Thinking of You” is your quintessential post-relationship love song, a “you’ll be in my heart” ode that commemorates, if not enshrines a cauldron of emotions that have passed their tipping point. Once you part ways, the clock begins to tick on love: It may linger on for a few weeks, a few months, or a few years, but given separation and distance, those feelings are likely to fade. By capturing his mood in music, Matt Koelsch creates for himself a resting place for what must surely have been an avalanche of emotion without a home. In Koelsh’s words, “Thinking of You” is about “reflecting back on a relationship that did not pan out, but now that time has passed you’re at greater peace with the outcome and the other person.” There’s heartbreak here, but it’s of a matured nature – Koelsh isn’t looking back in anger; rather, warmth flows in droves out from his plaintive acoustic guitar. “Thinking of You” is a musically majestic piece, with a bubbling bass line and spurts of violin and cello making for an incredible, multi-layered tapestry of sound. Koelsch’s harmonies build slowly and simply, but his ability to embed catchy riff over catchy riff is immediate and compelling from beginning to end. We’ll start to wonder, who led the fall? We’ll start to wonder, who lost it all? There’s much reason to suggest that, if you’re still thinking of someone long after a relationship has ended, perhaps things aren’t the most healthy. One-sided love is always a detriment – a recipe for woe and pain. But no matter how far away you get from that love, it still exists somewhere – lost to time, perhaps. Interpreted thusly, Matt Koelsch’s “Thinking of You” can be appreciated as a dedication to the power of love. No matter where two exes go, they’ll always have the time they shared. Koelsh’s Thinking of You EP, co-produced with Eugene Toale, is out this Friday, July 14th. Connect with the singer/songwriter below!